If you need to ship goods to, from or through Michigan, then get a free instant online freight quote. Our quotations are fast and fully automated, and we think you’ll be impressed by our low rates for Michigan shipping. Our quotation system can give you an estimate for full truckload, less than a truckload or international shipping. FRC Logistics can arrange for Michigan trucking that’s in-state, interstate and international. Michigan’s most important Interstates are I-94, I-69, I-96 and I-75. It also has an extensive state highway network. Don’t forget that crossing between the lower and upper peninsulas means traversing the five-mile-long Mackinac Bridge, which can be hazardous in high winds and snow. An industrial powerhouse, Michigan exported $22.5 billion worth of goods worldwide in 2010. General Motors and Ford, both based in Metro Detroit, are the seventh and eighth largest corporations in the US. Michigan is also home to Dow Chemical, Whirlpool, Lear, Kellogg, DTE Energy, Steelcase, Herman Miller, Kelly Services and countless automotive suppliers. Many of our Michigan clients are involved in the automotive, chemical or furniture industries. Because of its nationally important automotive industry, Michigan trucking to Texas, California and other faraway states is in high demand. The most frequent destinations for Michigan trucking are Ohio, Illinois, Indiana, Wisconsin and Pennsylvania, but Michigan ships freight nationwide. With its population of 10 million people, it’s also a popular destination. Michigan also ships a large volume of freight to Canada. Detroit’s Ambassador Bridge, which spans between Detroit, Michigan and Windsor, Ontario is the busiest border crossing between the two countries. MDOT, the Michigan Department of Transportation, provides a Crossing Guide for Commercial Truck Drivers. Please refer to it for information on issues such as customs clearance, hazardous materials and the physical limitations of the border crossings. Michigan grants Trucking and Transport Permits to overweight and oversize vehicles under 150 feet long, or 105 feet long for mobile homes. The maximum width for a routine classification is 16 feet and the maximum height is 15 feet. 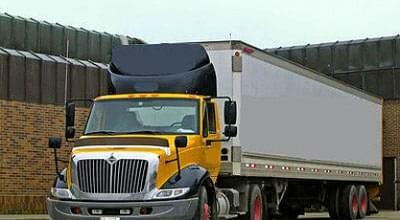 Trucks that exceed the specifications for overweight and oversize may be classified as superloads. Please see the Michigan state government’s guide to Maximum Legal Truck Loadings and Dimensions. 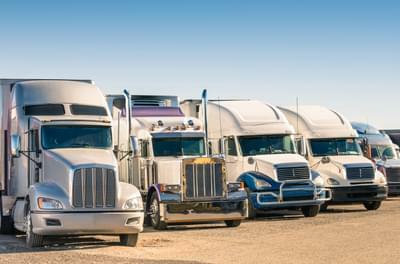 Pilot cars are required for large trucks in the state of Michigan. Trucks over 90’-0” long, 12’-0” wide and/or 14’-5” tall require one or two pilot cars. Moving Oversize or Overweight Vehicles and Loads, available on the MDOT website, gives all the details.